It was a busy month for Alberta baseball-playing youth. The August long weekend was the end of the Baseball Alberta Provincial Championships where teams fought to earn the right to represent Alberta at Western or Canadian championships. At the Midget level, Foothills were crowned champions at the Performance level, and went on to the Nationals where they represented our province well, but ultimately lost to Ontario for the National Championship. Camrose were the Competitive champions, and went on to play in the Western Canadian AA Championship, where they went 1-3 in round-robin play, and did not qualify for the finals. Foothills also won Bantam and will be playing at the National championships in Vaughan Ontario this weekend. Okotoks won the Bantam Competitive division, and needed to win their final round-robin game to earn a berth in the Western Canadian championship game, but were beaten by the host team from Morden Manitoba to be eliminated from contention. At the PeeWee level, Sherwood Park A's won provincial gold, and along with the runner-up Braves from Red Deer are both representing Alberta at the PeeWee Western Championships in Nanaimo this weekend. The Camrose Cougars were the Competitive champions, and they played well at the PeeWee AA Western Championships, going 3-1 in round robin play, and making it to the championship game, which they lost having to settle for Silver. Congratulations to all these teams for being good representatives of our Province. Congratulations also go out to the Mosquito St. Albert Cardinals who were provincial champions. At the same time, the Montana-Alberta American Legion Baseball AA Championship Tournament took place. The Medicine Hat Monarchs made it all the way to the semi-finals before being eliminated. In the Northern District "A" Tournament, the Fort MacLeod Royals beat the Medicine Hat Knights to earn the right to play Great Falls in the championship game, but the Electrics beat the Royals to be named district champions. The Western Canadians Summer Games also took place this month, where teams composed of players 15 and younger battled in Kamloops. Team Alberta went 6-1 in round-robin play and came from behind to beat BC in the gold medal game to be crowned champions. 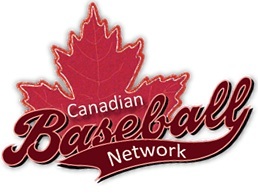 The Canada Cup was played in Moncton NB, and it showcased the best 17 and under baseball players. Unfortunately, Alberta did not perform well, losing all 7 games. The month still isn't over for many of these players. As mentioned earlier, the Bantam and PeeWee national championship are being played from August 25th to 28th, and the Prospect Series is being played over the Labour Day Weekend. This will feature 2 sets of teams, one for players 15 and under, and one for 16 and under. We wish all the teams representing Albeta at these tournaments the best of luck.